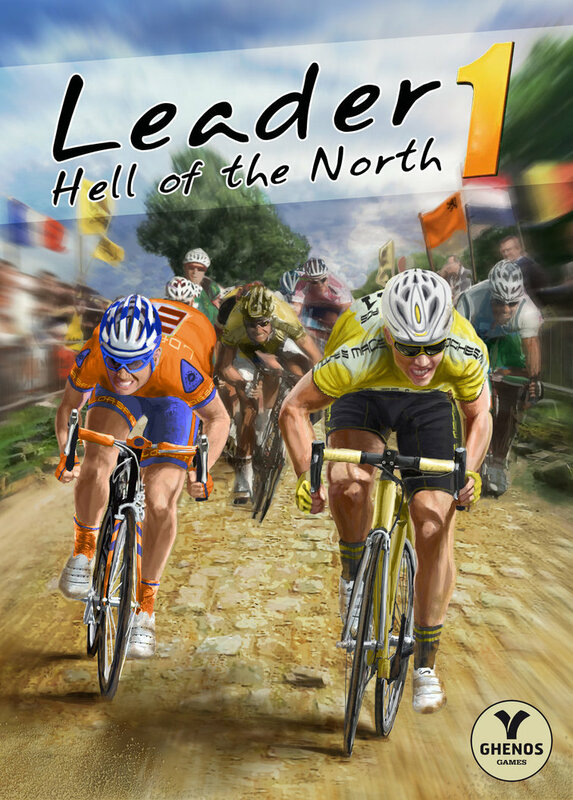 Cover for the game “Leader 1 – Hell of the North”. A game about guess what…bikes! Will be published in September by Ghenos Games and BlackRock games. Copyright mine and Ghenos Games.